The Trentino Guest Card is issued free of charge to all guests of the Club Hotel Zodiaco&Residence Orizzonte to enjoy a world of benefits and opportunities: the free movement on all public transport , local trains, including for the whole holiday, and one input for each of the 100 services, including museums, castles, natural parks and attractions. It is sufficient to ask for the guest card in the hotel and present it at the ticket office for access to the services. Take home a bit of the Trentino region: Trentino Guest Card, you can taste the best typical products of the territory directly in the store of the manufacturers and make a purchase with a discount of 10%. Are available cellars and distellerie, butchers, meats, dairies, and much more. 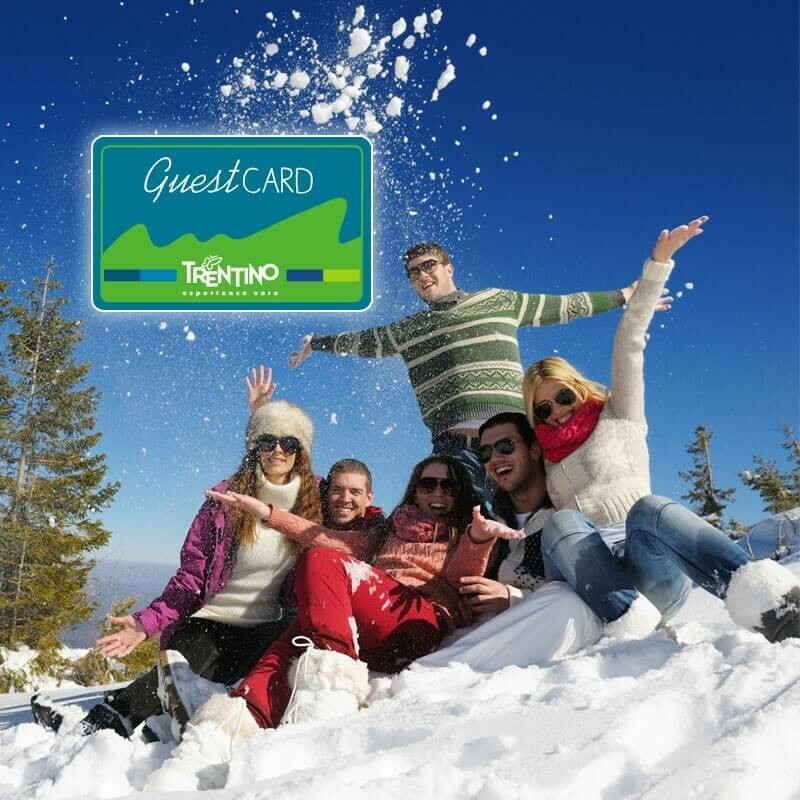 The Trentino Guest Card allowsunlimited access to the transport network, public Trentino Trasporti urban (Trento, Rovereto, Garda and Pergine), suburban and regional trains on the line in the Brenner pass, the Valsugana and the Trento-Malè. The card must be validated on each journey, directly on board or in the railway stations.